SIGforum.com Main Page SIG Pistols Revolver people, what do you think of the GP100? I’ve been on a lucky streak recently, practically falling in to four or five pre lock Smith and Wesson‘s in the last year. As gorgeous and timeless as they are, I still keep my GP 100 standing by as my go to revolver. My primary home defense is a pair of Sig 220s, one on each floor of my house, but I also keep a revolver at the ready. For sometime now it has been the Ruger GP 100. I was just wondering what the forum thinks of this revolver. For me it’s the one I take to the range when I have some questionable or hot loads. I also bought a bit of steel cased factory ammo and don’t dare run it in the K frames and find it doesn’t want to eject out of the L frames. With the Ruger though it runs and ejects with no issues. Should I just accept the fact that this may just be a more robust revolver than my beloved Smith and Wesson’s? Should I be looking closer at older security sixes? As always, any feedback is greatly appreciated, Brian. It is a solid gun. I feel the samy way about my DW715, and my 686+ unfluted. Fantasic revolvers that are just a blast to shoot. The GP100 is the best utility .357 on the market today. I wish they still sold the security six. I had a 6" SS, heavy lug, and it was a tank! 100yrd shots on steel humanoid targets were a cake walk. You *cannot* go wrong with a GP100. I don't know if I would carry one, but they're definitely robust enough to handle heavy loads if that's what you're into. For me, a K-frame would work better since I'm not into testing my limits with recoil control and would rather have something a little more carry-able. However, I've always wanted a 3" fixed-sight GP100 (I believe they were standard issue for the US Marshals Service before they went to Glocks), or a Wiley Clapp model. Personally, though, I'd rather have a SP101, particularly the Wiley Clapp version converted to DAO. I love mine. I have a 3" Wiley Clapp version and a 4" Match Champion. Both are solid. I'd trust my life to them. Just got my first GP100 Match Champion in 357.......OWB holster from WrightLeatherWorks just came in - Predator - 10 weeks for a signature version - pure work of art! I love my just-acquired Wiley Clapp 10mm with the 3" barrel. I took it to Don Williams (just up the road) for a basic action polishing job. He mentioned that in the last year, the GP100's he's seen in his shop demonstrate a sloppiness that has crept into Ruger's revolver manufacturing. 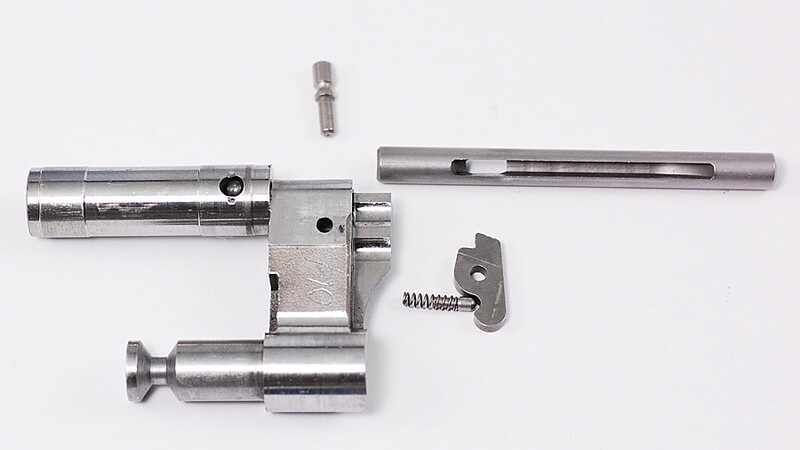 He said some actions have shavings and other machining detritus inside, as well as sights installed in any old place (my front was way off right, and I confirmed it shot to the left, so it wasn't tested before putting it where it was). His expressed opinion is someone should kick their rear end to get them back on track. That aside, and with the sight now centered, it is a tack driver with full power 10mm ammo. Its recoil is a bit less with lighter bullets, even though they are delivering more muzzle energy than the heavier bullets (Underwood ballistics). This is my first GP100, and I am truly impressed. As others have said, good solid, reliable revolver that is poorly designed, in my opinion. I detest that you have to remove the grip and trigger group just to isolate the cylinder and crane. Then, if you want to have just the cylinder you have to simultaneously depress two small pins and hope the cylinder comes off. Ruger engineers have never learned about lean manufacturing. And the trigger group is a Rube Goldberg design if I ever saw one. I have one more GP100 yet to sell. I have gone back to Smiths. The GP100 is a rock solid tank and the cylinder has 3 lockup points as opposed to pretty much everyone else’s 2 point lockup. It can handle bucket loads of the stoutest .357 loads you can find. Some might complain about the trigger, but mine is smooth as butter from hundreds of dry fire cycles. I carried my personal GP100 on duty when everyone else carried issued 686’s. The Smiths all spit lead at the forcing cone- perhaps from timing issues after thousands of rounds fired. Their cylinders all had a good bit of play. My GP is still tight as a drum when locked up during the trigger pull. You cannot go wrong with a GP100. I have both a 4" 686-4 and a 4" GP100. When I wanna fondle, I get out the smith. When I wanna bang, I break out the ruger. I've had my 4" stainless for over 20 years and it still looks new. The thing is a tank and will take anything you throw at it. I love the GP such I bought a 2" SP101 and will buy another GP but blued. Perhaps not as refined as a S&W but absolutely rock solid. Swapping the hammer spring with a 2lb lighter spring makes a huge difference.. I bought mine dirt cheap 20 years ago from a pawn shop and after what may be several thousand rounds through it, still looks and shoots like new. And I want the 10mm GP100! They're a solid revolver that will eat stout .357's, but clunky and not well balanced and a so so trigger. That being said, I'd rather have a S+W K frame. I'd rather have a Ruger security six over a GP. But strength versus strength, I'll take a 686 over them. 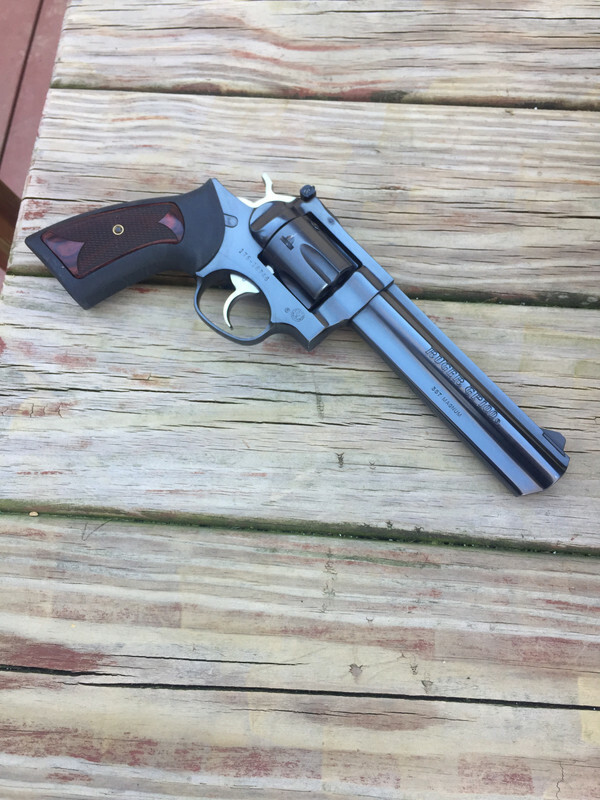 Being a hard n fast semi auto guy, my 3" GP100 is the gun that made me respect and even honor revolvers. I now own two, the other is a 5". I've been toying over the idea of getting a 7rd example as well, and perhaps even one in 22LR. I also have a .38 LCR that I've come to enjoy. My Ruger experience has been primarily influenced by their revolvers, and so far it's been an excellent ride. I only own one S&W but I'm certainly amenable to the notion of picking up more. And while I do have a Python, I found that I really do like how the new production Cobra shoots. And then there's the K6S, a gun that I keep thinking about also picking up. All of this interest spawned by a single 3" GP100 purchase. Yeah, I do think highly about the gun. I had a 4 inch stainless. I like my Colts and my Smiths, but if I could only have 1, and it as going to see a lot of heavy use and have to last the rest of life...... I would go buy another GP. They are work horses. Of the two I have, one is a .357 Match Champion, and the other is a seven shot chambered in .327 Federal with a 5” barrel. I’ll occasionally carry it in wintertime in a Simply Rugged pancake holster. The .327 is a soft shooter, even with hot American Eagle 100 grain JSP rounds. Both are solidly built, accurate, and very enjoyable to shoot. Quick Reply to: Revolver people, what do you think of the GP100?